Need an easy and healthy dinner that comes together quickly? 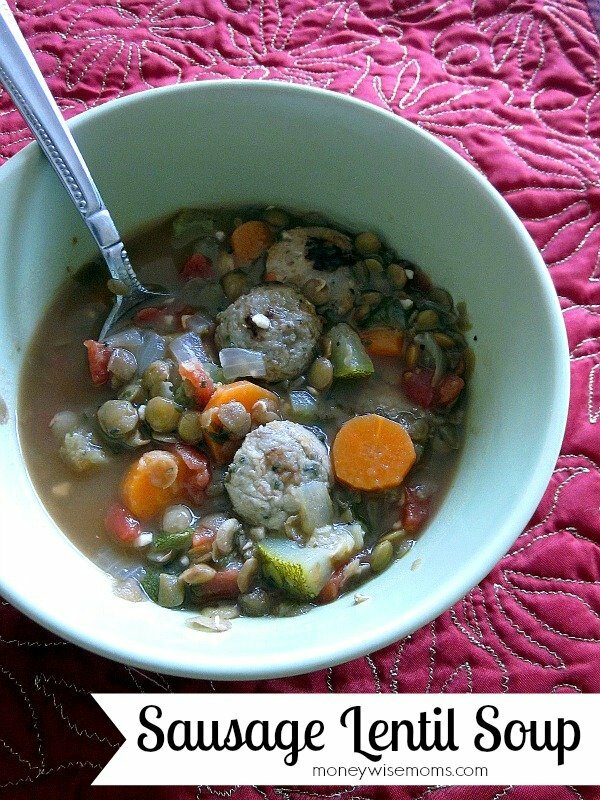 This Sausage Lentil Soup is just the thing! Why head out to a restaurant when you can make your favorites at home with a copycat recipe? I changed up this Carraba’s recipe to make it work for my family, and now it’s a fave! I love that after you brown the sausage, it’s just a matter of throwing everything into the soup pot and letting it simmer. If you’re eating gluten-free, just check that the sausage and broth are safe (there are many varieties that are). Rather than cook on the stovetop, put all the ingredients into a slow cooker and cook on low for 4-6 hours, until all the vegetables are tender. That makes it a delicious crockpot sausage lentil soup! 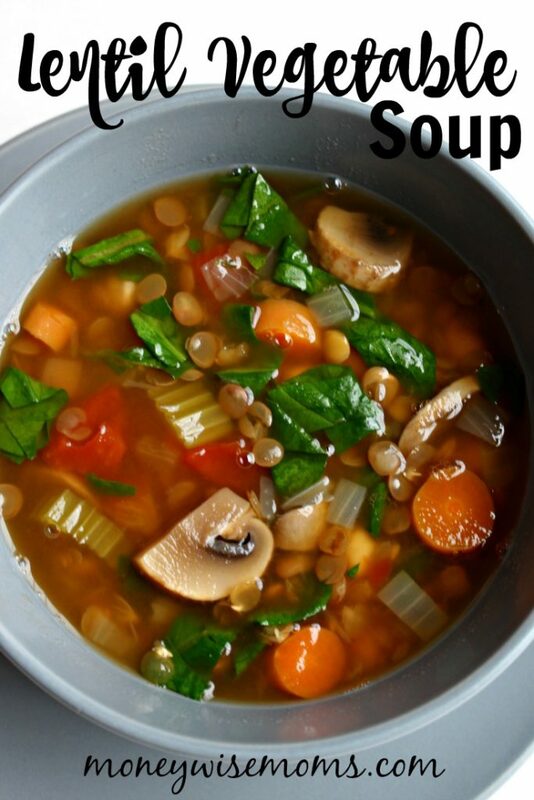 This Sausage Lentil Soup can also be made vegetarian by skipping the sausage and using vegetable broth. This is such an easy, adaptable recipe! Brown sausage. Drain off fat and dice into bite-size pieces. Reduce heat, cover and simmer for about 1 hour or until lentils are tender. Add more water if thinner consistency desired. You can use an immersible blender to puree the soup and give it a thicker, stew-like consistency. Your choice! 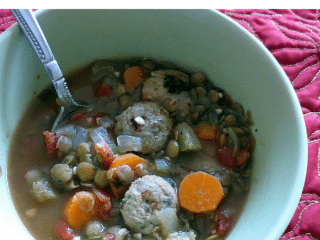 This Sausage Lentil Soup recipe is linked up to Gluten Free Wednesdays at Gluten Free Homemaker, Tasty Tuesday at Balancing Beauty & Bedlam, Friday Food at MomTrends and Feasting in Fellowship Friday at Comfy in the Kitchen. 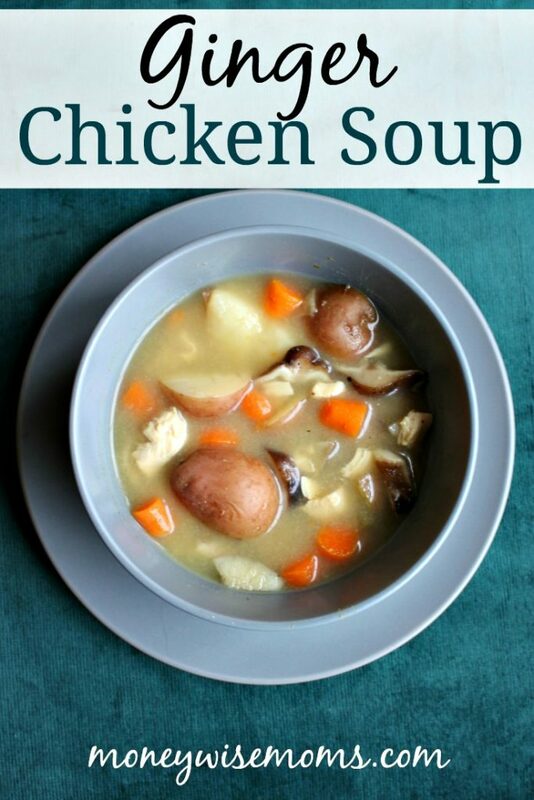 looks great – might throw it all in my crockpot and see what happens! Wow, sounds great. 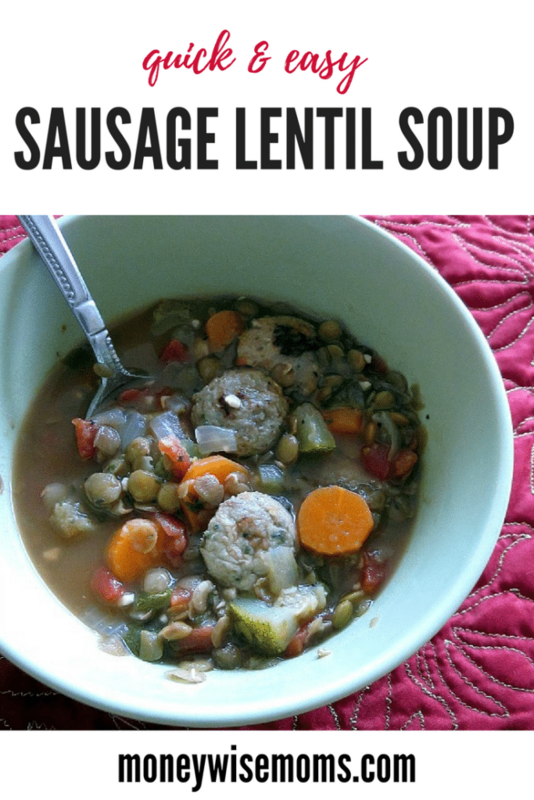 I love adding sausage to my lentil soups. It adds so much flavor and dimension. What a nice healthy choice to make it chicken sausage. All the herbs must really make this soup shine. I’m hosting Whole Food Wednesdays at beyond the peel. I hope you’ll come join us! This sounds wonderful. We ski on weekends, it would be perfect to come home to a crockpot of this ready to eat!